The Student Hangout will feature new discussions, every month, as well as activities, games, and contests from time to time. Make sure the watch this thread for all important updates regarding The Student Hangout! The Student Colloquy has a new topic for the month of June! Head on over HERE to join in on the conversation! The Student Colloquy has a new topic for the month of July! Head on over HERE to join in on the conversation! The Student Colloquy has a new topic for the month of August! Head on over HERE to join in on the conversation! The Student Colloquy has a new topic for the month of September! Head on over HERE to join in on the conversation! THINGS ARE HAPPENING IN THE CASTLE! The Music Room as nice new discussion - HERE AND they have a poll set up for you guys to vote on next months discussion HERE! Have you ever wanted to be a world famous singer? Well... now you can!! (Kind of) The castle's Music Room is playing host to HEX Idol this year! Follow the link to reach the forum or click on the gramophone in the image map to find out more info! A NEW MONTH MEANS NEW STUFF IN THE CASTLE! A New "November November" Pic Post Challenge is up in The Picture Forum - HERE!!! For November, The Student Hangout is hosting a brand new discussion on Holiday Celebrations! Chime in HERE!!! Be sure to check out the Hex Idol Audience Competitions in the The Music Forum! Great stuff is up for grabs. You can also find The Music Forum by clicking on the Gramophone on the SH image map! November is here! With a new month, we bring a new discussion and poll to The Music Forum. This month we'll be discussing Pink Floyd! Be sure to participate in November's Monthly Poll, which ends on November 25th, so you can help us decide the new discussion topic! 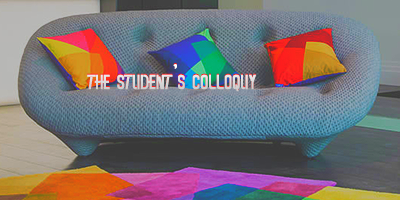 A new Student Colloquy is up! Join the discussion HERE! With December, the new discussion and poll have been posted. We'll be discussing the Scooby Doo theme song, and the December poll will be up through the 25th. WHAT IS GOING ON! SO MUCH STUFF!!! The Student Hangout has a brand new January Chat HERE! We also have an exciting contest this month! Be sure to let us know what happens during The Hogwarts Firework Finale! January's new activities for the Music Room. We have a new poll, and a discussion thread. Also, two new threads to the Music room...Music Portfolio thread and a January contest. Make sure to check out each of the new threads for January. The Boy's Bathroom got some serious updating! If you're a guy, check out all of the new features below! We have a new Ranting Thread, an Advice/Comment Thread and a Goals for 2016 Thread, which will stay up all year long. There's also the New Monthly Discussion, as well as the January Activity. The Trophy Room welcomes you for the first time. So, welcome to the world of fame and glory. We have plenty to offer you, so come and check everything out! The Girl's have it going on in the Girls Bathroom as well! Check out their monthly activities below! The Current Petal Tally can be found here! Also, keep in mind we have a Suggestion Thread for any suggestions you may have. We are cooking up a smorgasbord in The Kitchens! Need a cure for your boredom blues? Check out the Hospital Wing! Chat of the Month:2016 Goals. Contest of the Month: A New Year's Outbreak. The Capsules: A Hospital Wing Forum Incentive. Let's kick off the new year with a terrifying start! January's Contest of the Month is up! Tell Filch a terrifying tale! Good day students - it has come to Madam Pince's attention that the Library has been sorely lacking in excitement this past year. As Librarian, it is her job to fix it. She will now be organising some fun monthly activities...January's are up now, and you can win your share of 95,000 Gs by taking part in the following! This month's book(s) are 'The Hunger Games' Series! A book hunt through the Hogwarts book stacks! The Student Hangout has a new activities for the Month of February! Head on over to theStudent's Colloquy Discussion to give your opinion on new Wizarding World happenings. We also have a fun new contest this month! Head on over HERE to see what's in store! It's February and Trophy Room is buzzing with new activities. New month lands you in another detention with our dear Caretaker Mr. Filch and he's especially vicious while giving you even more extreme tasks to sort out some information. Come check it out HERE! Also, this is your time to show your grandness. Come join us HERE! in another Monthly Discussion about which trophy would you want to hand out and to whom you'd like to award it first. 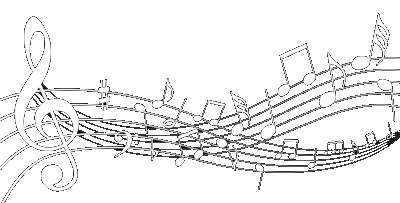 The February activities for the Music Room are here. Check out below to view this month's new discussion, as well us our new February contest Keep a lookout for the new poll, which will be added in a few days' time! Make sure to check out all the new threads for February, as well as the Music Portfolio thread which has been added last month! The Love Month is here! Do you have any plans for this month? If yes then scribble the Hospital Wing Forum in your planner as Madam Pomfrey is preparing something for you. If no, then your presence is more than welcome here at the Hospital Wing Forum. Madam Pomfrey noticed that when the month of February comes, the affliction called "Heartache" becomes endemic. So she made it her duty to create a forum discussion about it. In order to help, Madam Pomfrey gives you some tips in the New Contest of the Month in how to heal a broken heart. The catch is, you need to solve it first before getting the tips. There is also a new activity in the forum! It is called the Color Therapy. Come join us and let us live life stress free. Madam Pomfrey's Journal is now updated. Check it out now to see if you are eligible for any incentive. The Monthly Galleon Drawing will also be drawn this 5th day of the month. So exchange your capsules with tickets here. And last but not the least, the SUGGESTION BOX is a little lonely, it wants your suggestion badly. Happy February Everyone! A new month means new things to participate in in the kitchens. We have a new Monthly Chat as well as a new Monthly Activity. Bonbons have been reset and winners of the January raffle will be posted soon. Look for an announcement in the Kitchens watch thread. Don't forget that Winky is still in desperate need of new recipes so keep those coming. A link to the cookbook will be posted soon so everyone will have access to all the wonderful recipes. Do you have any items/galleons clogging up your inventory? Feel like giving the kitchens a hand? Then look no further. Donations of any kind are always welcome. The Dungeon gets a little lovey-dovey this month with some love-themed activities! Behind Bars - Check out how many Shackles you've accumulated! The shackles from January have been added. History of Fear - February's Contest of the Month is up! What is this terrifying thing we call "love?" Baby don't hurt me... don't hurt me... no more. Deepest Darkest Discussion - February's Discussion of the Month is up! This month's topic is Unrequited Love. Share the woes of your bleeding heart with us. Check out some LOVEly new activities in the Library Forum this month! Prizes will make their way to you shortly and housepoints will be awarded. It's March! And what does that mean? We've got loads of stuff up for you to enjoy! It's time to talk teachers in this month's discussion, HERE! And we'll also be locating some of our favorite Hogwarts Professors HERE! March is here with rumble and tumble! We have another set of fun activities planned for you! - Filch brings you the Third Task with all his might and wit. The newest cataloging challenges can be seen HERE. - Hush! Don't tell Filch, because he can ruin all the fun! This month's discussion is in form of a game! Check it out HERE. It's time for our new March Activities: Join us in our discussion about holidays in general and solve a jigsaw with a chance of winning nice galleon prizes! Also, the Caretaker Concoctions are still going on in our Forums, so make sure to join it in order to have a chance at some amazing prizes! More information can be found here! It's a new month and we have lots in store for you! Head on over to THIS thread to join in our Monthly Discussion, 'Gifts Galore!' which is all about Gifts and gifting! While you are here, why don't you brush up your artistic skills by participating in our Monthly Contest, 'Made With Love..' HERE. This month, we also have a brand new feature in the Girls Bathroom, especially for you! Head on over to THIS thread for more information on Tell Me Your Dreams . If you have any suggestions or feedback, feel free to post them in our Suggestions thread, or owl Smita. Chat of the Month: Sleep Awareness. Contest of the Month: Healer's Apprentice. Activity of the Month: Brewing Potions. Don't forget to drop you suggestions or new ideas in the SUGGESTION BOX. The Dungeon welcomes the villains of your worst nightmares into Hogwarts in March's activities! Behind Bars - Check out how many Shackles you've accumulated! History of Fear - March's Contest of the Month is up! Have your hand at taking the villains that nightmares are made of and sorting them into houses at Hogwarts! Deepest Darkest Discussion - March's Discussion of the Month is up! This month's topic is Horror Stories & the Villains Behind Them. What's hiding in your closet and keeping you up late at night? A new month means all new things in the kitchens. A new Chat has been posted. This time we are chatting about Rainbow Wishes. A leprechaun was spotted in the kitchens and has left you a little Challenge to work on. Think you can solve it? Like last month, bonbons have been reset. I am tallying up all of last months bonbons and hope to have a new House Elf of the Month as well as the raffle winners by the end of the week. The february activity was a HUGE hit. I am going through the entries now and will have the winners posted ASAP. Don't forget your Avvies and donations, and Winky's cookbook is still looking a bit bare so be sure to post more recipes. Brand new activities in the Boy's Bathroom monthly! Thank you all for participating in last month's Caretaker Concoction! There were a lot of entries, but we can finally announce our three lucky winners. You can find the proof for the randomizing here! April has arrived with many new activities in the Caretaker Forums! Chat of the Month: Meditation. Contest of the Month: A Joke Gone Wrong. Activity of the Month: Fooling Around. You can still earn points in the Color Therapy if you haven't done it. Come cast your vote on your favorite musical, play a fun and challenging game to win our contest and indulge in wanderlust as you listen to the song in this month's discussion! Participation in the contest and discussion will earn you Music Notes towards our brand-new incentive program - and being active in the forum will increase your chances at winning nice galleon prizes even more! Fun new things are here, in the Trophy Room! Come and check them out! - Filch brings you the Fourth Task with a little twist. Check it out HERE. - This month we're talking about someone special, come see who it is HERE. Happy April Fools, everyone! Like every month, we have some new activites for you. Chat along about your favourite pranks in our Monthly Discussion, and solve our Word Search with a chance of winning some Galleon prizes! It's April! - And what does that mean? We've got new activities for you to enjoy! This month we want you to tell us a story! A terribly tiny tale! Head on over to THIS thread to participate in our Monthly Contest! While you are here, stop by our Monthly Discussion thread HERE and tell us all about your best friends! This month we are celebrating friendship, in the Girls Bathroom! Petals earned for March, will be updated sometime around the middle of this month. Thank you for your patience. We hope you're as excited as we are for the new activities in the Kitchens this month. We have a new chat dedicated to all things funny. Come and celebrate National Humor Month with us. We also have a new activity for you all to enjoy. It's a fun little flower matching game. Come play! Don't forget that the Caretakers Concoctions are still going on. You have 2 more weeks to submit your answers for a chance at those amazing prizes. Be sure to claim your bonbons for Avvies, Donations, and Winky's Recipe Book! The new monthly challenge is up here! April is known in many places as a month of crazy weather, so go ahead any post your picture fitting this month's topic for a chance of winning Galleons! The winners for the January and March Challenges will be announced later on. This month, in honor of tax season, we will be discussing Arithmancy! Head over here to delve deeper into this fascinating and rarely discussed subject. The Goblins of Gringotts have also taken on student interns for the summer! The Dungeon welcomes you to its April activities! History of Fear - April's Contest of the Month is up! Solve this jigsaw of a place much darker than the Dungeon itself! Deepest Darkest Discussion - April's Discussion of the Month is up! This month's topic is Secrets. Share your deepest secrets with us. This month's discussion is about the Mortal Instruments series! Whether you have read the books or just heard about them because of the movie or the TV series - come and discuss the series with us! April's contest is a Book Hunt. Check it out here! Participation in the discussion and contest will earn you "Pages" towards our Incentive Program where you can win up to 50k each month! Prizes will be sent out soon! Today is the last day to get in your entries for this month's contest,Interning with the Goblins of Gringotts. Please submit by 11:59 Hex time tonight. From today on, the Student Hangout features a Corkboard where the monthly activities in all Caretaker Forums are listed. Head over now to find out what we offer this month! The Goblins have chosen their winners for April's contest. Head over to this thread to see who our lucky interns were! Apologies for the confusion, everyone. You should be able to see the winners at the bottom of the first post now. Thanks for letting me know there was a problem!